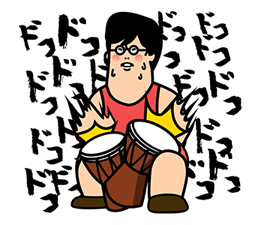 http://www.line-stickers.com/ – Manabu & Senpai Line Sticker | Manabu is a new hire and Senpai is trying to show him the ropes in this humorous set. Friend Biglobe’s official account to get it. Available till July 7, 2014. Previous post Kid Generation: Get Movin’!